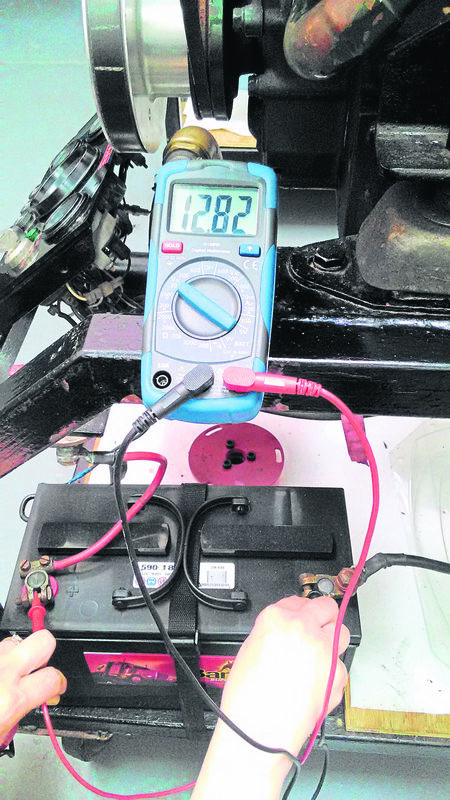 TESTING battery voltage is not something the everyday boat owner would undertake, however, being able to test your own batteries gives you an insight into many things. The readings gained from checking your battery voltage, for example, can tell you whether the gauges on your ignition panel are correct or how long you need to charge your batteries until they are fully charged. In order to check your battery voltage you will need to understand how to use a multi-meter/battery tester. First, attach the test wires to the multi-meter; the black test wire attaches to the plug marked COM, the red test wire to the plug not marked with an A (it will be marked only by symbols which include something similar to Ω). All testers have the ability to read volts and some will do it automatically. If the automatic function is not present, you will need to select the one marked V followed by two lines (the bottom line will be broken). This stands for voltage (direct current), then choose the sub setting 20 for 12v. The number reflects the maximum volt reading so for 24v choose the sub setting 200. Once selected, you are ready to test the battery voltage. With both probes attached the multi-meter is showing a reading. place the red probe on the + (positive) terminal on the battery and the black probe on the – (negative) terminal. The multi-meter should now show a reading. 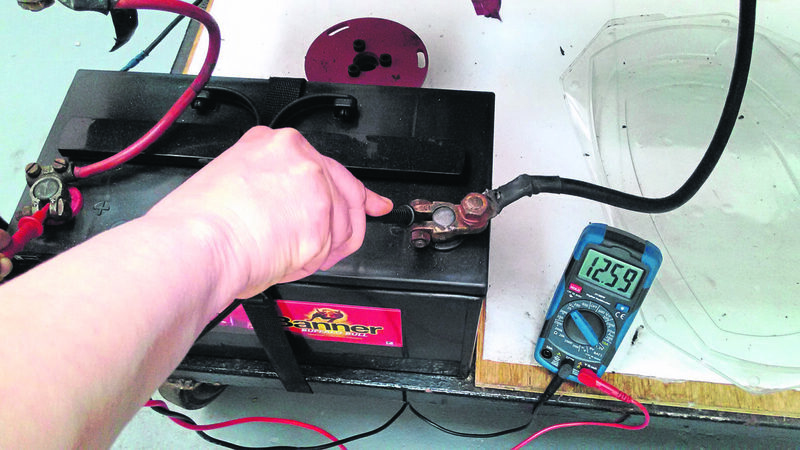 To test domestic batteries, you can do it two different ways. 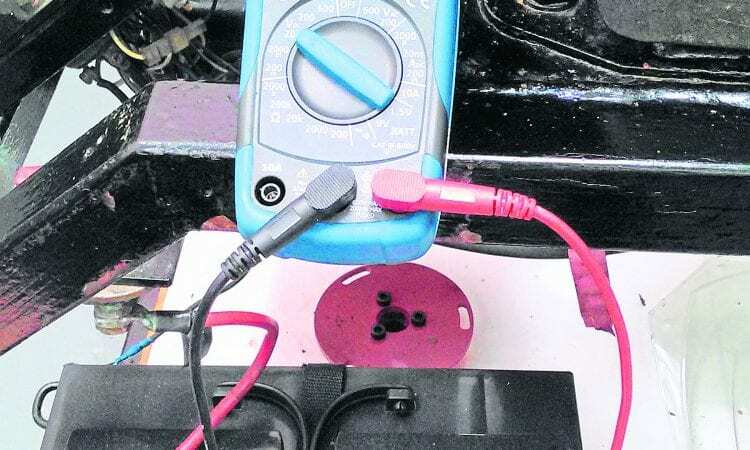 To gain a battery bank reading, either place the red probe on any one of the battery + (positive) terminals and the black probe on any one of the – (negative) terminals or disconnect each battery individually and follow the first test procedure. The battery bank reading is great for gauging battery capacity and charging requirements. As a guide 11.8v or below is completely flat, 12.2v is 50% capacity and 12.6v-12.8v is fully charged. Individual tests are equally great for identifying faulty batteries as one may show a significantly lower or higher reading to the others. This indicates the battery is ready for replacement. ● River Canal Rescue runs boat and engine maintenance courses throughout the year. ● River Canal Rescue runs boat and engine maintenance courses throughout the year. 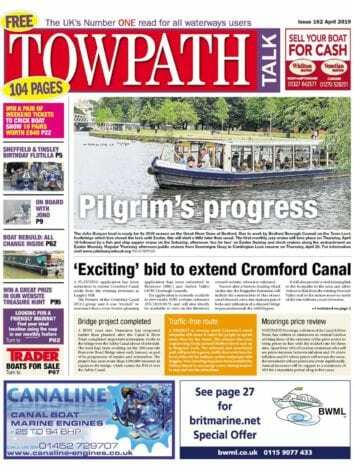 To find out more visit www.rivercanalrescue.co.uk email enquiries@rivercanalrescue.co.uk or call 01785 785680. Next Post:Valiant’s new Moisture Meter launches on to the market!